Mansfield will face two entertaining local derby’s in this season’s Checkatrade Trophy. 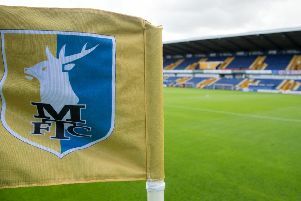 Stags have been drawn in Group G of the Northern section and will face Lincoln City, Notts County and a category one club. Category One clubs, which will be added to the draw on 12th July, Everton, Leicester City, Manchester City, Middlesbrough, Newcastle United, Stoke City, Sunderland, West Bromwich Albion.